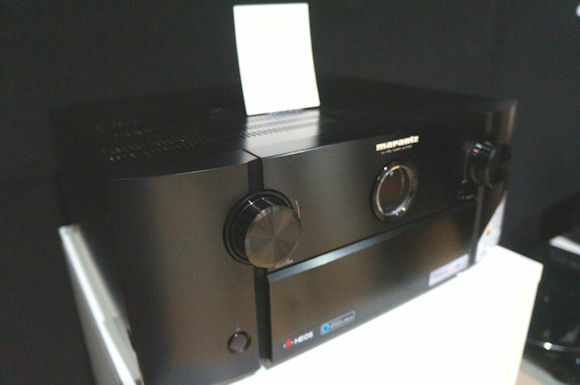 Sound United announced this week an expansion of IMAX Enhanced Certified home theater audio video components under its Denon and Marantz advance home theater component brands. The company said that in addition to the Denon AVR-X8500H and Marantz AV8805 receivers, the following products will also be IMAX Enhanced following a forthcoming firmware update. Sound United said the firmware updates bringing IMAX Enhanced capability begin pushing to connected qualifying equipment this week. The IMAX Enhanced program was introduced last fall at the 2018 CEDIA Expo in San Diego. The new certification and licensing program was developed through a partnership between IMAX and Xperi’s DTS. IMAX Enhanced leverages specially engineered high-end audio and video products, like the Sound United audio products, Sony Master Series Ultra HDTVs and 4K Bravia SXRD video and others along with special digitally remastered 4K HDR content produced to replicate as closely as possible the IMAX theatrical experience in the home. Sony and Paramount were the first studios to commit to producing some of the first IMAX Enhanced titles. The program is restricted to high-end products with the capabilities of achieving the demanding performance criteria required by IMAX and DTS. The updated Sound United Denon and Marantz products will be compatible with DTS Enhanced using a variant of DTS:X developed for the IMAX Enhanced program. IMAX Enhanced products will have an “IMAX Mode” to optimize specially produced IMAX Enhanced content to the standards originally intended by the filmmaker. To receive the update, customers with qualifying products should have their device powered on and connected to the internet. For more information visit www.soundunited.com.